I haven't seen it since since living in New England, but "S.S. Pierce" brand of Ketchup was very good. It was especially good for fish and chips as it was more tangy, having a higher vinegar content. Didn't knows there was any other kind than Heinz????? Glen, SS Pierce was (is?) a food-service distributor like Sysco...it must have been the private label. 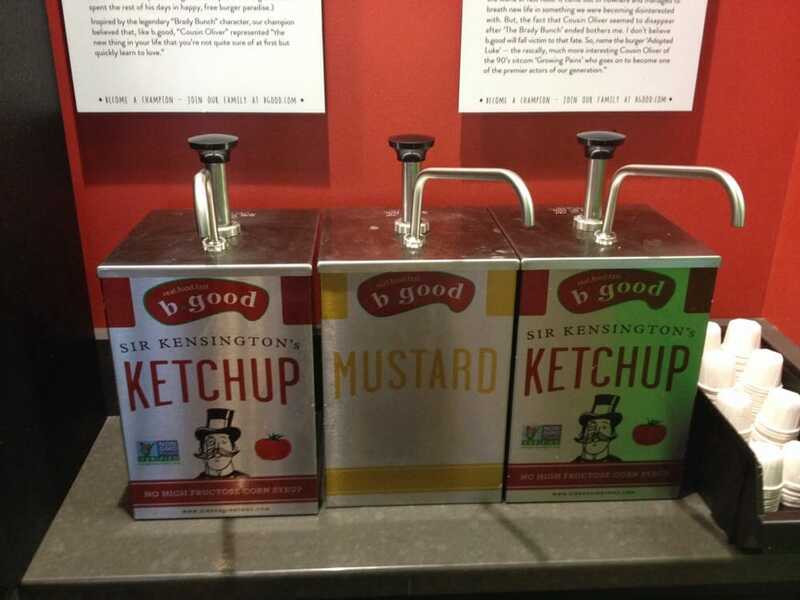 I had no idea Red Gold even made ketchup. I do like their canned tomatoes, but I've never seen any other products with their label. For ketchup, it has to be Heinz. Meijer brand will do, under duress, when my mother shops and doesn't understand why it matters if something else is on sale (it has a similar taste and identical texture, but is an odd colour). But I tend to "accidentally" use more than I need and then scrape it off so I can get through the bottle faster and get more Heinz. Hunt's tastes too sweet to me, with a goofy undertaste I can't quite define. My friends Mom cannot eat spicy food at all.. so much so that one night she says "wooo! this must be the other brand" or something like that. It was too hot for her. I still laugh thinking about it. 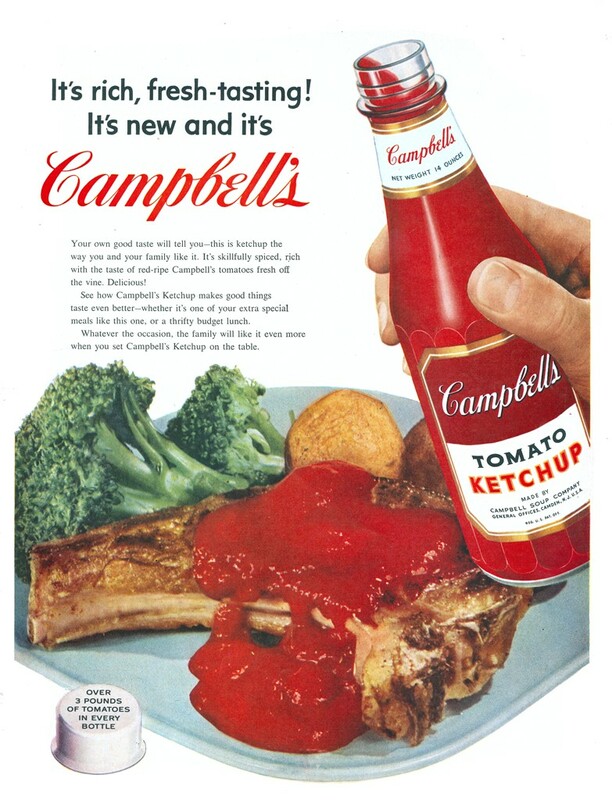 I guess it's no surprise that Campbell's once made ketchup. I have to ask, seeing all these pictures that show ketchup generously applied to steaks and chops... who here ever did that? ...and Heinz made soup...still does in Europe...Guess Campbells let Heinz have the ketchup....and vice versa! ... and canned baked beans. ... how completely creepy is that kid? I like Heinz but will try Red Gold as our Walmart carries their products. Yes, that is correct. I enjoyed the S.S. Pierce ketchup at restaurants ... primarily seafood places. I wish it had been available for retail purchase. I had always wondered why my Mom bought plain old Heinz instead of the tastier S.S. Pierce. If you go way way back, S.S. Pierce products were available for home delivery at one time, but that is probably before either of us were around. They got their reputation in the 1800s for providing premium and exotic products. Interesting to read their history. Six months or so ago, a couple of guys with a start up were on a biz show. They seemed to be bright guys with packaged food industry knowledge, but it went down hill from there. They had searched for an "underserved" category, and came up with ketchup!! They were making an extra quality product for about $10 a bottle. It was already on the internet, and would be in local stores "soon". I have not seen it. It was called Sir Something......Sir Winston's? ?, Sir Cavendish?? I don't remember, and had forgotten about it. 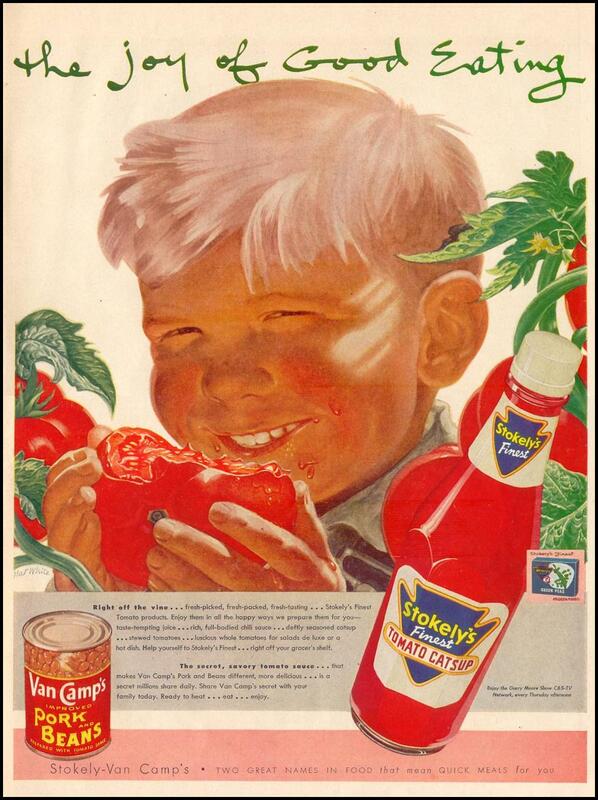 I'm glad that it wasn't one of my family members that was looking for me to partly fund a forey into the ketchup biz!! Portland Ketchup is wonderful stuff if you're going to bring up artisan foods. You can taste all the spices, not just the sweet. They had this at the b.good burger joint in Glastonbury when I went there last week. It fit their upscale image. Good stuff - if only the burgers themselves had matched up. I find their Spicy Brown Mustard at my local Fresh Market. Good stuff. I don't know how long Heinz has had its "Vintage 1896" line of ketchups in production, but a couple of days ago I saw the smoky version in the store for the first time (I've yet to see the other 2 varieties). We haven't opened it yet but I'm curious as to what it'll be like. Perhaps Michael Hoffman will try it and let us know if it's as good as the original. I might try the Original Vintage. The others wouldn't really go over with the family's ketchup lovers. Our usual is the Simply Heinz or the Organic. I like the taste of those much better than the regular version with HFCS. The worst catsups all seem to be sweetened with high fructose bay corn sweetener. While I use catsup for everything (as long as it's corned beef hash or part of a horseradish and catsup cocktail sauce) I'm afraid I can't help out here as I've never heard of or seen the things you mentioned. lleechef, on the other hand, being an almost Yinzer (actually she's a Yunzer) might be willing to try the new Heinz products should we ever see them in a store. We opened the bottle of Heinz Vintage 1896 smoky ketchup this week and it's pretty good. The smoke isn't at all overwhelming and the tomato flavor is pretty rich...it reminds me a little of a pasta sauce or barbecue sauce. One of the local chains carries all 3 varieties so when this bottle is gone we'll try the original version. Red Gold currently claims to be the largest producer of private label ketchup in the country. Certainly all the major supermarket chains in the Northeast use it. I have never found any of the supermarket brands taste exactly like the corn syrup version of Red Gold, however. For a long while, it was sold in this area at Big Lots. But Big Lots brought in a lot of house brand Fresh Fields grocery items. The Fresh Fields ketchup is made by, you guessed it, Red Gold. What I now use is the ORGANIC house brands of ShopRite, Aldi, Weis Markets and Stop and Shop. All made with sugar instead of corn syrup and a flavor profile very similar to Red Gold. Made by Red Gold, of course. You can buy Red Gold on Amazon, but the prices are high and you may get one with a very short shelf life. Red Gold is made right up the road from me. Can't say as I use their products very often, though. Just not a fan. Heinz makes a better ketchup in their Simply and Organic lines. I tried the Red Gold chopped tomatoes in a recipe a few years back and they just didn't work well. These days I stick with Cento brand whole San Marzano tomatoes. More expensive, but better quality and taste. Red Gold's canned tomato products are well represented at Dallas' Kroger markets. I've never tried them though. I prefer the Italian D.O.P. San Marzano canned tomatoes sold at Jimmy's Food Store in Dallas. Cento Brand San Marzano from Italy are the best I've found! Yes, they're very good as well. They're also sold at Jimmy's and, Kroger stores. Yep. I love the Cento's. Amazingly enough I get mine at Walmart, of all places! That sure surprises me...but that's good for you!! !